Worm genes key to slow ageing? Researchers have identified a batch of genes that not only prevent cancer but slow the ageing process in worms, and say they are now looking to see if the genes have the same properties in humans. Many of the genes in the worms are already known to have counterparts in humans, and the team at the University of California, San Francisco, says it hopes to better understand some of the processes that cause both ageing and cancer. Drugs that mimic the effects of these genes might help people both avoid cancer and also live longer, they wrote in Sunday’s issue of the journal ‘Nature Genetics’. Biologist Cynthia Kenyon is perhaps best known for discovering that a change in just one gene, called daf-2, could double the lifespan of small roundworms called Caenorhabditis elegans. She and graduate student Julie Pinkston-Gosse screened as many genes as they could that were affected by daf-2. They looked at 734 in total, and found that 29 of them either stimulated tumour growth or suppressed it. Some caused cell proliferation while others initiated a programmed suicide process called apoptosis, used by the body to destroy faulty cells, including tumour cells. 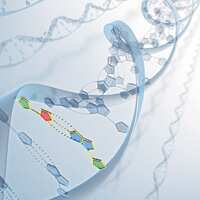 “About half of these genes also affected normal ageing, thereby linking these two processes mechanistically," the two researchers wrote. “There is a widely held view that any mechanism that slows ageing would probably stimulate tumour growth," Kenyon said. “But we found many genes that increase lifespan, but slow tumour growth. Humans have versions of many of these genes, so this work may lead to treatments that keep us youthful and cancer-free much longer than normal."